A tool to edit various things in the save file outside of the game. This tool may break your save file, make sure you back it up. This is a GUI extension of the original Team Transfer Tool that allows for more extensive editing, such as player names, attributes, positions, as well as changing team names and home stadiums. It still includes the features of the Team Transfer Tool so you can do everything in the one tool. I can be contacted via GitLab, on the tool subreddit, on Discord as AFerrea#0813, or by here. I try to keep track of the comments on posts everywhere the tool is available, but I don't always catch everything, so if you don't get a response, you can feel free to PM me directly. Being able to import into older versions of the game is on my to-do list, but there's no guarantee that it's going to be possible either for all versions or just some. Sorry, I didn't see this previously. If you go onto Explorer and type %LOCALAPPDATA% in the address bar, then go into Metalhead, then Super Mega Baseball 2, there may be multiple numbered folders in there, each with a savedata.sav file. Since the tool can't automatically know which one to select, it quits rather than risking breaking a save file. File this one under "developer is an idiot". I made a mistake when converting old team packs and my tests didn't pick it up. 0.4.3 should work, a couple of people have tested it and told me it does. Sorry for the inconvenience. I'll get there eventually. This one's a known issue, Update 4 broke a couple of things - I'm literally about to upload a hopefully fixed version now. These are stats that I converted from OOTP ratings to SMB2 ratings. Included are ratings for all MLB players from 1901-2018, and various foreign and independent leagues for 2018, including NPB, KBO, and the Italian and Dutch baseball leagues. The zip file also includes a simple PowerShell script to allow you to search the whole csv directory by a player name, but note that OOTP sometimes adds middle initials to players, which may mean that a simple search by name cannot find them. The 2018 ratings are the ratings that were used in the Project Awesome pack. These ratings are free to use by anyone, simply credit me where you've used my stats either directly or as a base for your own modifications if you share your teams. About the system Our rating system is derived from OOTP ratings, which for the current year are based in turn on ZiPS predictions. Key points to note about our conversions: Out of the Park Baseball (OOTP) ratings typically run from 0-200 rather than 0-99, so scaling is a simple case of dividing by two Every stat is increased by 8% in order to give numbers that are fairly competitive with the stock teams All stats are capped between 1 and 99 in their respective categories after all of the calculations have been performed Whenever rounding needs to be performed, it's always rounded down. Power For power, contact, junk, accuracy, the vsL and vsR ratings are added together and then divided by four. (Divided by two to average, then divided by two again to scale to SMB2) Arm For arm, we simply divide the relevant arm rating by two. For IF primaries this is IF arm, for OF primaries it's OF arm and for C primaries it's C arm. Fielding For fielding, we combine the range and error ratings and divide by four. 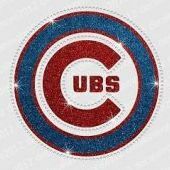 The types follow the same as arm, except that for C primaries we simply divide catcher ability by two. Velocity For velocity, we take the centre of the MPH range given by OOTP, and add a random amount of velocity between -0.5 and +0.5 MPH. 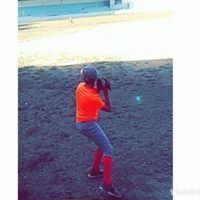 This allows pitchers who are listed as having the same velocity range to have different velocities. We then scale the velocity between 85 MPH at 1 velocity, and 99 MPH at 99 velocity. The downside of this system is that repeatedly generating stats will give differing velocities to each pitcher (unless they fall well off the top or the bottom of the scale). We decided this trade-off was worth it to avoid the situation where every pitcher with a certain range would have identical velocity. The formula to convert MPH to a velo stat is given as ((mph - 85) * (98/14) + 1). Apply the 8% increase after. Speed Speed was a tough decision to make. It was hard to find a formula that would give good results for both modern and historical players. Eventually, we settled on using a combination of fielding range, stealing ability, and running speed. For P/IF primaries, we use running speed, stealing ability, and IF range, and divide by six. (Divided by three to average, then two again to scale) For OF primaries, we use running speed, stealing ability, and OF range, and divide by six. For C primaries, since they don't have a range, we use running speed and stealing ability alone and divide by four. If the error looks something like sqlite3.OperationalError: no such table: t_baseball_player_colors then the problem is that the save data is out of date. Make sure you're on the latest update of the game (Update 3 at time of writing), and then trigger a save by starting a game or changing something in the customisation menus. If that isn't the problem, if you can provide the error message either by copy and paste or screenshot, I can advise you much better. A tool to transfer various pieces of data between saves in Super Mega Baseball 2. 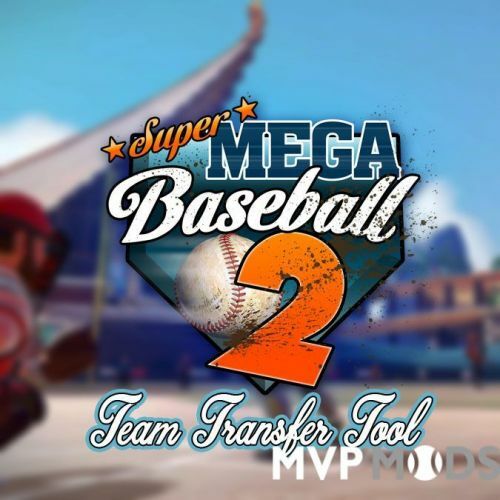 Before using this tool, you should close Super Mega Baseball 2. You could potentially corrupt your save file if you use this tool while Super Mega Baseball 2 is running. The tool will automatically find your save file, although if for whatever reason you have multiple save files inside the save game location, the tool will refuse to continue. It is also recommended that you create a folder to store the tool and the tool files in. This allows you to organize them any way you wish. The tool will search for files in the folder it is located and any folders inside the same folder. You can find the full manual and documentation at the GitLab wiki here. There is also a roster vault spreadsheet available here. Various teams are already available for download, and I'd be happy to share others if you provide me links. I can be contacted via GitLab, on the tool subreddit, on Discord as AFerrea#0813, or by here. I try to keep track of the comments on posts everywhere the tool is available, as well as any problems on the Project Awesome posts, but I don't always catch everything, so if you don't get a response, you can feel free to PM me directly.